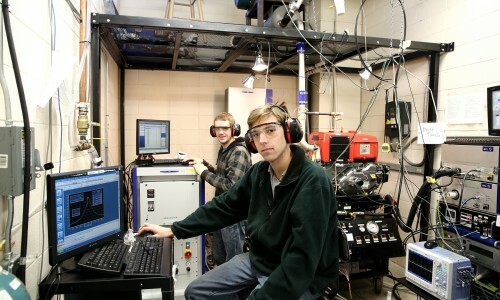 Martin Muinos, under the supervision of Dr. Soloiu, was awarded a NSF Graduate Research Fellowship for his research on Low Temperature Combustion (LTC) by Reactivity Controlled Compression Ignition (RCCI). The prestigious fellowship funds Martin’s graduate work and amounts to a total funding of $138,000. Martin is the first student from Georgia Southern University to be awarded the NSF Graduate Research Fellowship.